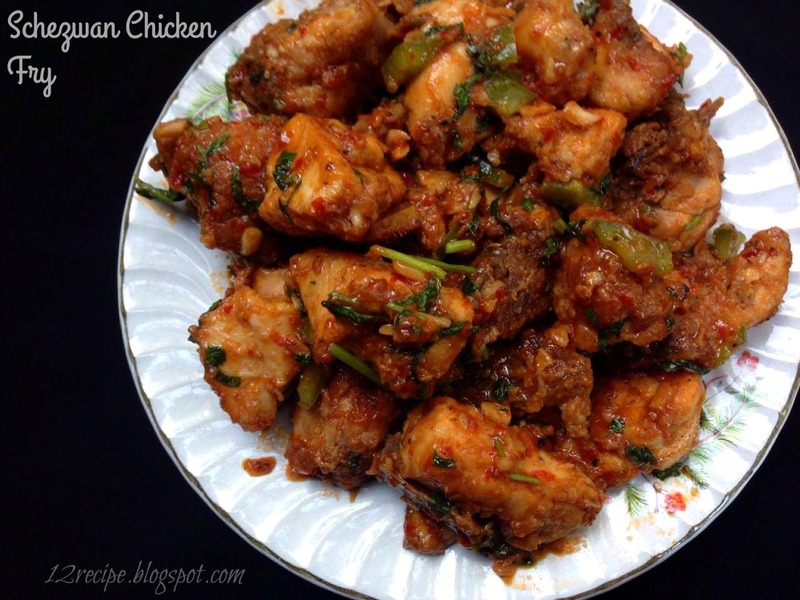 Schezwan chicken fry is one of the popular Indo-Chinese chicken appetizer. 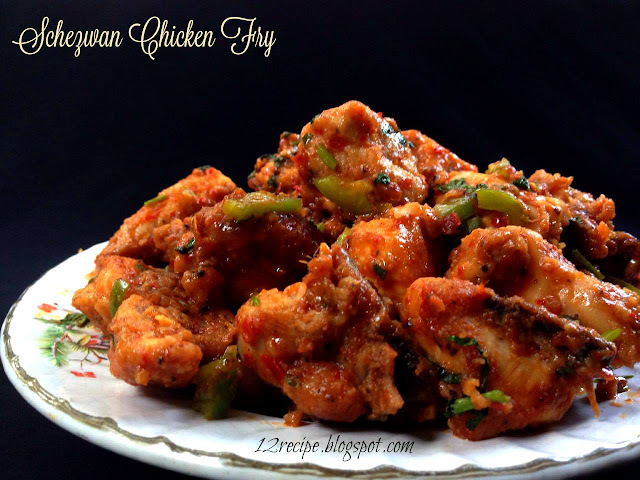 The marinated chicken pieces are fried and then coated with the schezwan sauce. Marinate the chicken pieces with the marination ingredients and let it rest for 1 hour in fridge. After that deep fry it in ht oil on medium flame until nicely done (don't over fry). Keep 1 tbsp of oil in the pan and heat. Add sugar, ginger and garlic. Saute until golden. Add chopped bell pepper, schezwan sauce, soya sauce and tomato sauce. Mix well for a minute and add 1/4 cup of hot water in to it. Add salt; followed by the fried chicken pieces. Mix well for a minute to coat the chicken pieces well with the sauce. Switch off the flame by sprinkling coriander leaves on top. Serve hot and enjoy the great taste. Note: Adding a pinch of red food color gives a nice red restaurant like Schezwan chicken; Here i skip that; If you wish to add; add it in to the prepared sauce; before adding chicken.